MIDDLETOWN—The City of Middletown plans to revive its declining neighborhoods one house at a time. The city is taking abandoned homes, bringing them up to code, and selling them to qualified, first-time homebuyers. The city has teamed up with the State of New York Mortgage Agency (SONYMA) and local nonprofit PathStone to find and assist qualified homebuyers for these rehabilitated homes. “If they want a new driveway or [to] do things with a new porch, or whatever, they have that opportunity through the state program,” DeStefano said. 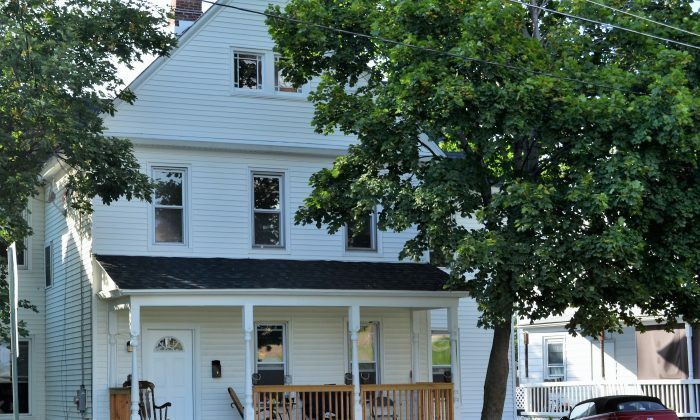 A homebuyer took ownership of the city’s first fixer-upper on Prospect Street in June. The city’s Community Development Agency (CDA) is the one that is administering this program, which takes houses abandoned for non-payment of taxes, failure to keep up with a mortgage, or other reasons. Maria Bruni, director of economic and community development for the city, says the CDA offers a unique non-monetary grant to qualified homebuyers who are ready to move in. The selling price is based on an appraisal after the house is up to code. The not-for-profit, regional community development organization PathStone then vets buyers, making sure they are able to carry a mortgage and can stay in the house for ten years. The grant is based on income qualifiers that PathStone and the mortgage lender set as the formula for the grant amount. The post-rehab appraisal for the house on Prospect was $140,000, according to Bruni, and the homeowners qualified for a $28,000 reduction in the purchase price. The city acquired the house on Prospect for $6,900 in back taxes. For years it had been a two-family house and was converted back to a one-family. The city put in a new roof, furnace, a hot water heater, new floors and carpeting. The bathrooms and kitchen were redone. Bruni said the city has recouped their investment and we able to put in $110,000 for the upgrades upgrades. The CDA includes a developer fee that brings the first mortgage to $112,000. The city rolls over any profit it gets into the next project, Bruni said. “We are looking at approximately six homes to rehab,” Bruni said. The houses are presently being inspected and rehabilitation specs are being prepared. She said Pathstone already has qualified homebuyers lined up. Bill Teague, assistant vice present for business development at SONYMA, said the state assists homebuyers with $20,000 for repairs and improvements beyond what the city is putting into the property. The state distributes the funding through participating lenders. Teague said the program differs somewhat from traditional bond programs, which use tax-free bonds to fund mortgages. The state requires that applicants make the home their primary residence. If there are one or two individuals on a mortgage on a house in a Middletown neighborhood, the income limit for the homebuyer or buyers is $130,650. The applicant(s) must have good credit, stable employment, and be able to make monthly mortgage payments. This is where PathStone, based in Newburgh, comes in. Their homeownership assistance program educates potential homebuyers on the responsibilities of homeownership. Eileen Clifford, director of PathStone, says all participants take part over the course of a month two four-hour classes. The first class is about being ready to buy a home. They learn about household budgets, credit, the home buying process, and home inspections. The second class brings in realtors and loan officers. “They talk about the real estate piece of it—how to work with a realtor, how to make an offer, what to look for in a house,” Clifford said.